A detailed and an exhaustive workshop on CCE was conducted by Ms Rachna Swarup on 1 July 2016 for the faculty. At the outset Ms Swarup clarified that CCE is not about evaluation or a system of assessment but a continuous process of learning. Assessment is an integral part of teaching and learning process. The main objectives of the course were to understand the demand of twentieth century education along with understanding the real purpose of assessment. 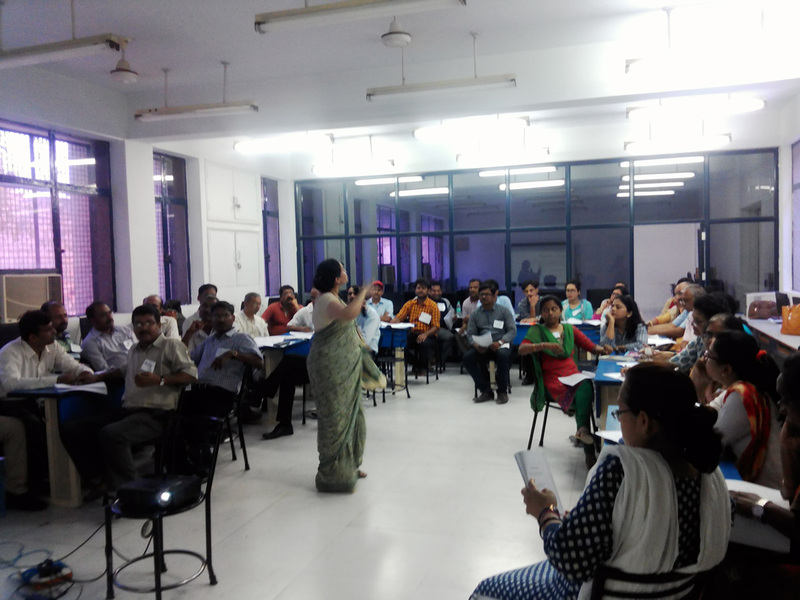 It aimed to create awareness about the difference between Formative Assessment and Summative Assessment. Another salient feature was to create an understanding about the tools and techniques of conducting FAs and co scholastic assessment objectively. Ms Swarup reiterated the fact that CCE aimed at learning through varied activities and the assessment was continuous and comprehensive. The sole aim of education is not only to enable students to do well in school but also to help them excel in the lives they lead outside the realm of a school. Ms Swarup, an educationist, focused on the place of assessment in curriculum thereby improve the teaching and learning process. The main aim of a teacher should be assessment not measurement. Ms Swarup focused chiefly on conducting FA during a session as she mentioned the components of FA along with tools and techniques for FA. It was indeed an extremely informative workshop and the teachers are confident they would be able to implement the information in teaching and assessing the students.